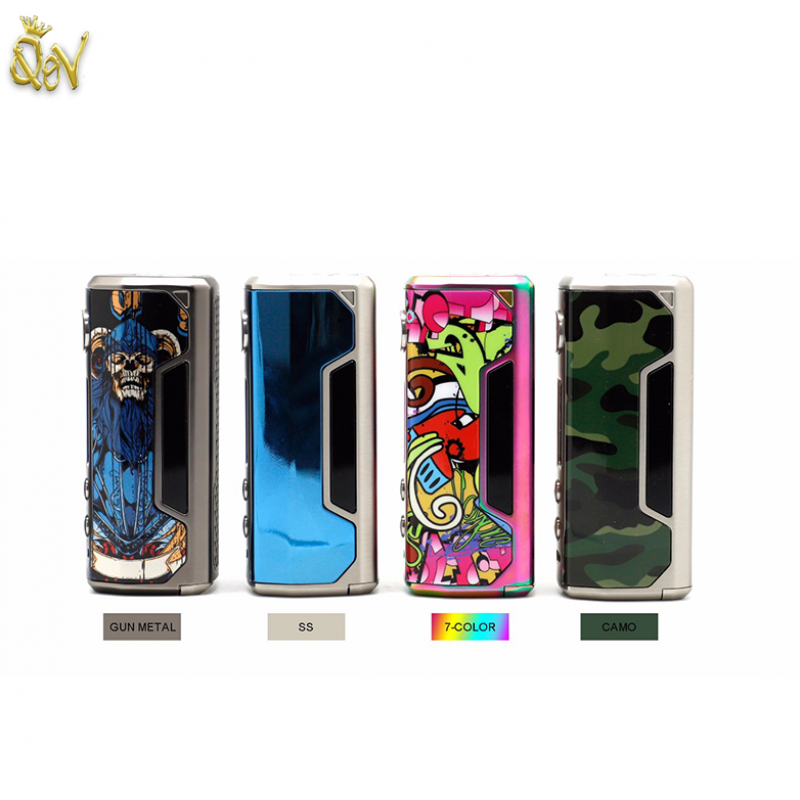 VZONE Cultura 100W TC Box Mod integrates a highly sophisticated chipset with 100W of maximum output and full temperature suite chipset within a visually stunning box mod design. Built with ergonomics in mind, the VZONE Cultura implements a soft curvature chassis design with a range of creative design piece on the exterior shell. The Cultura 100W adopts an environmentally In-Mould Labeling (IML) injection on the durable aluminum alloy shell. The chassis implements a polished and streamlined design elements, with ergonomic contour and subtle modern accenting to create a phenomenal showcase piece. Powered by single 18650 or 20700 battery (not included), the VZONE Cultura features 100W of maximum output, full temperature control, preset Taste Modes, and three-slot Memory Mode.